Daniel Tutt is the Outreach Director at Unity Productions Foundation, a nonprofit that focuses on creating peace through various media. UPF has produced several films on Islam, including Muhammad: Legacy of a Prophet, Cities of Light: The Rise and Fall of Islamic Spain, and Prince among Slaves. The mainstream portrayal of Islam does not usually deal with transcendent beauty, elegant ornamentation, or intricate calligraphy. But might art be one of the keys to healing some of the chasms and conflicts that have plagued Muslim-West relations over the last 10 years? The power of art to build bridges of understanding is becoming more recognized as a vital component to repairing the Muslim-West divide. 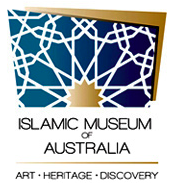 The new exhibit on Islamic art at the Metropolitan Museum of Art has already attracted thousands, and leading contemporary Islamic artists in America were recently featured at the Andy Warhol Museum, as part of the Dislocating Culture exhibit. In a recent Al Jazeera documentary, Pop Goes Islam (embedded below), Haiba explains his reasoning behind the channel’s creation–offering Islamic values in the language of 21st-century youth–and notes that the only women who have appeared on his channel have worn headscarves and occasionally even niqabs. No female musicians or vocalists have ever been broadcast. In 2001, Wajahat Ali was an English major at UC-Berkeley studying under the guidance of Professor Ishmael Reed. Reed saw a unique talent in Ali and pushed him to explore the lives of Muslim-Americans. Ten years later, Ali’s play, Domestic Crusaders, has sold out theaters across the country and is the first Muslim-American play published as a book.